Is something missing in your daily life at home? Is it rest? Is it self-care? Is it daily devotions? Sometimes we aren’t even sure, so we try adding all the things to try to feel like a reasonable human being again. That never works, but we aren’t sure if the problem is with what we tried, with trying to do it all at once, or with our own selves. You know what you need to do. The problem is doing it consistently. You need to pray every morning, but you forget. You need to move more, but coffee and couch-crashing appeals more. You want to create and learn, but there’s no time. You need to show your kids love and affection, even in the midst of hassle and frazzle. So it’s no wonder we look at the list, give up and go back to bed instead. Did you know there’s a fundamental habit you’re missing? One that makes these other necessary habits not only easier, but actually possible? It’s the habit of follow-through. Then you need accountability and baby steps to learn the habit of follow-through as you practice the good habits you want and replace the habit habits you have. All our problems with doing the right thing so we can be renewed and serve our families well come down to bad habits that need breaking and new habits that need building. Motivation is strong with the new year, but how long does motivation last? It rarely lasts through the whole day – sometimes not even through the morning. Willpower is a limited resource, and every time we start anything – breakfast, school – even a shower! – takes a bite out of our willpower reserves. Yet, there’s a way to beat these limitations: Habit. I homeschool my five kids, including two teens on down to a kindergartener. I keep a lot of project plates spinning and I love that my husband works from home. Come 2pm, it always seems easier to crash on the couch than exercise, read, or do the next thing on my to-do list. It’s not that crashing on the couch is wrong, but if we need rest, why not actually nap? Too often when we need rest we choose the path of least resistance and get only psuedo-rest that does not leave us refreshed and ready to tackle the rest of the day. Or, if you’re like me, to turn to another cup of coffee and just crash harder a couple hours later. After reading numerous books on habit change and personal growth, I realized I had the habit of self-indulgence rather than self-control. I had the habit of giving up when I needed the habit of follow-through. 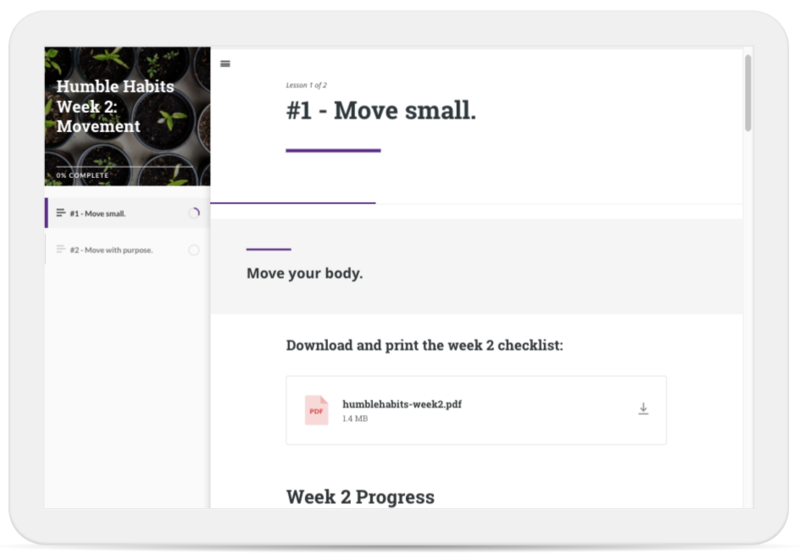 And it turns out that habits can work synergistically and be built faster by starting tiny. Want to start the year with better habits? Our temptation is to try to wake up Monday morning as a whole new person with a brand new lifestyle. Successful habits – and therefore, lifestyles – are not built that way. They are built incrementally, one small change after another. 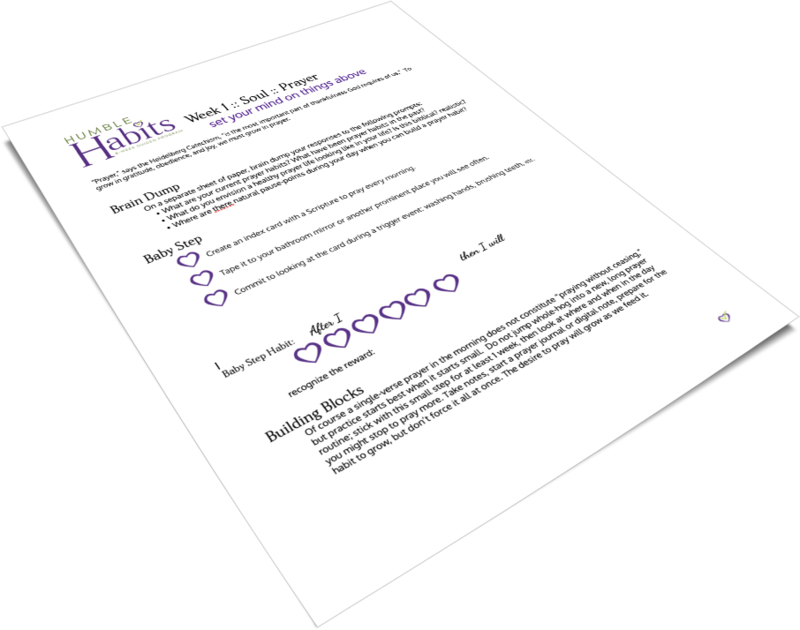 Humble Habits is a 6-week live accountability program for moms who want step-by-step, steady personal growth. Humble Habits will be back again in September 2019. Get on the wait list for next time! Humble Habits will be back September 2019. To go far, start with small wins. Be the tortoise. Humble Habits will lead the way. 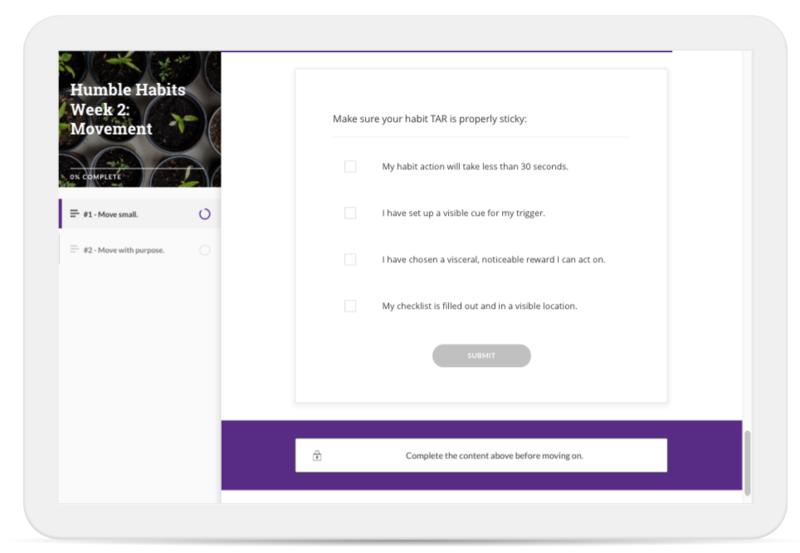 Humble Habits is a 6-week live program delivered by email, helping you build the habits you need for health, happiness, and a humming home. Sound grandiose and unrealistic? That’s because we’re too used to jumping to big change, when it’s the little things, done consistently, that give us the biggest payoff. It’s the linchpin habits that make further growth and change possible. But more than this checklist or the twice-weekly motivational emails, Humble Habits will help you overcome resistance and stagnation through accountability and smart, small habit-seeds. My promise: If you don’t see traction and growth in your own life (as defined by you, not me!) by the end of the six-week program, let me know and I will refund the entire cost of the class. If you’re like me, you’ve tried new year resolutions, new planners, and even online courses before and they haven’t worked. Don’t give up on personal growth. Habits aren’t impossible; they’re just hard. However, they’re worth the time and effort. Start smaller to see success. Enroll in Humble Habits with likeminded women and build the baby steps that lead to self-control, stress-management, and relationship-building. Humble Habits is a live accountability program, not a lifetime-access course. However, because I know life never stops for moms and we can’t control our time and other priorities often must win out, all participants will receive full access to the program materials for 2 months after the program is over. Every Saturday morning for six weeks, starting on January 5, you get an email with a link to the next lesson, a checklist for the coming week, and a poll for the previous week. Every Monday, you get an email with a link to part 2 of the lesson and a motivating thought to keep you going. 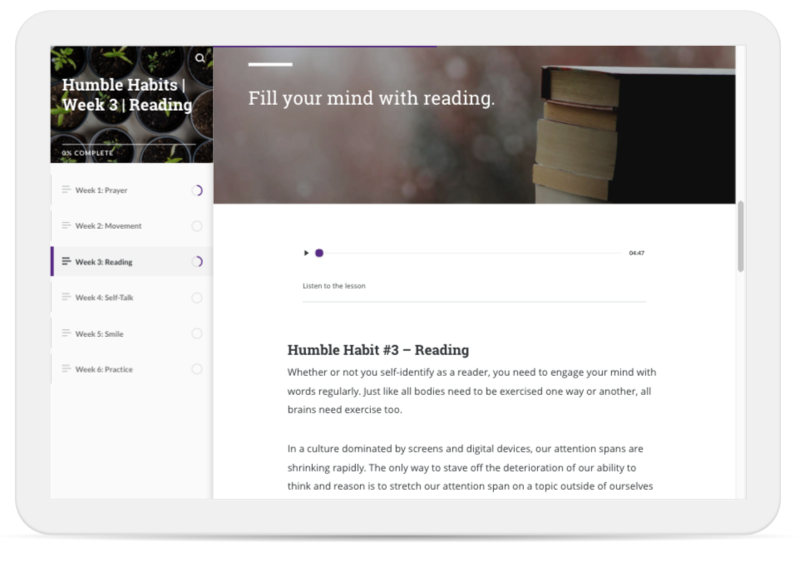 Every Wednesday, you’ll get a link to a montage of clips from past Humble Habits troubleshooting to help you stay on track and make the most of the habit. Every weekday morning you can get a habit-promoting quote texted or emailed. Every Friday morning we’ll do a live troubleshooting chat (replays available). Access is simple, progress is tracked, and accountability is motivating. For less than the price of a coffee each week, Humble Habits will help you break through your barriers by showing you how to start smaller, not bigger. And I promise a better productivity high after a week of this program than the caffeine will give you. If not, I’ll give you your money back (something you can’t get if the coffee doesn’t kick you into gear). We all want the shortcut, the massive overhaul that just happens like the flip of a switch, but that’s not how habits work and that’s not how growth – of any kind – happens. Our pride makes us bite off more than we can chew, but it then gives us a stomach ache. 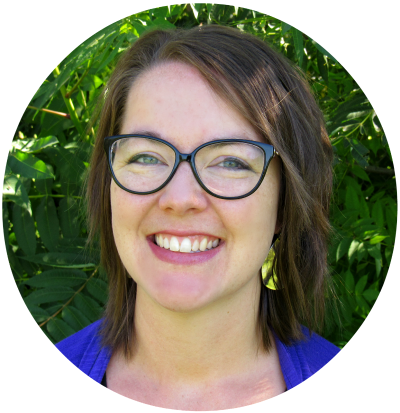 Start humbly, with the habit hacks that research has proven, freshly applied specifically and pointedly to life at home with kids.